Several months ago, I purchased a copy of Robert Grossblatt’s classic The 8088 Project Book in hopes of building a retro 8088 computer. My plan was to scavenge the parts from craigslist, ebay, and a couple Seattle area used computer junk stores. My adventures locally didn’t result in many parts though I did have much fun finding all those old ISA cards. I did manage to buy quite a few intel parts (8259s, 8255s, etc…) and a bunch of 74xx TTL parts from a gentleman in the area who was clearing out old stuff. But I still didn’t have an 8088 and a couple other necessary support parts. My queries to craigslist resulted in offers to sell me old 8088 PCs for crazy prices. Eventually, I gave up on finding the parts locally and started adding the remaining pieces to various digikey and futurlec purchases. This past weekend the final piece – the 8284 – arrived which is good because it is pretty important being that it drives the clock for the entire system. Saturday afternoon I gathered all the various parts, my handy breadboard, and started building the clock driving circuit — the first thing in the book beyond the power supply. There isn’t much to the circuit – a couple caps, resistors, a 14Mhz crystal, etc… However, it didn’t take long to figure out that I was a 4.7uF cap short and couldn’t manage to fake one with the parts I did have on hand. I was going to place yet another futurlec order but I gave up tonight and stopped by Radio Shack and got the missing cap, wired up everything again, and … nothing. 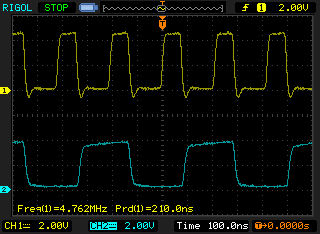 Noise on the 8284’s CLK output. Boo. Double checked everything with the meter and still nothing. After a moment I noticed that the bench supply showed no current on its meter. Aha! I’ve never had a proper current limiting bench supply before — turns out it limits the current. Further, when you turn the current limit down to zero, the 8284 doesn’t seem to want to function. Duh. 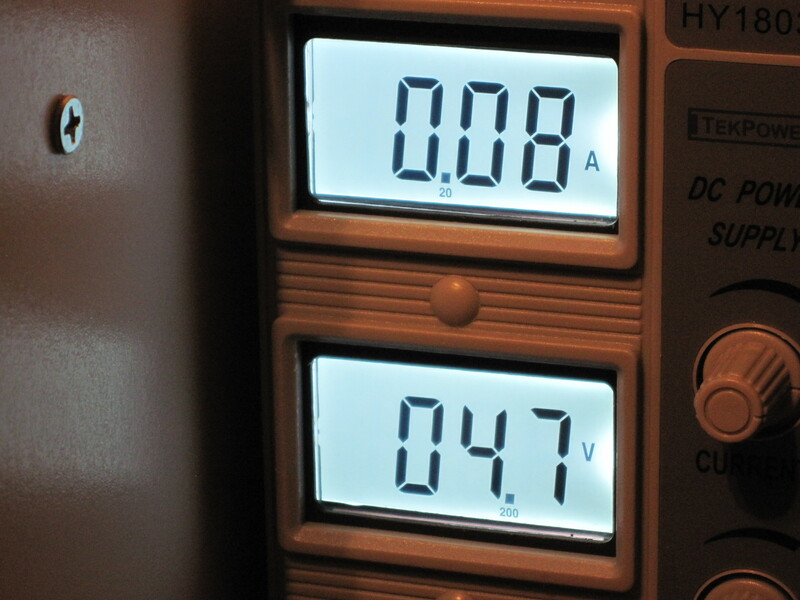 Turn the current limit up to non-zero and … bam! Functioning clock circuit. Next stop is to actually hook up the 8088! Next Post Sometimes it is a bad part… sometimes. I haven’t completed the retro pc yet. I got sidetracked building out the protoboard version of it. Point-to-point soldering is slow going. In terms of resources… the 8088 Project Book is a great great book. Beyond that, I’ve used datasheetarchive.com to find the appropriate datasheets. In terms of tools, I’ve been using NASM as my assembler. xxd (on mac os x) has been handy for quick hex decoding. 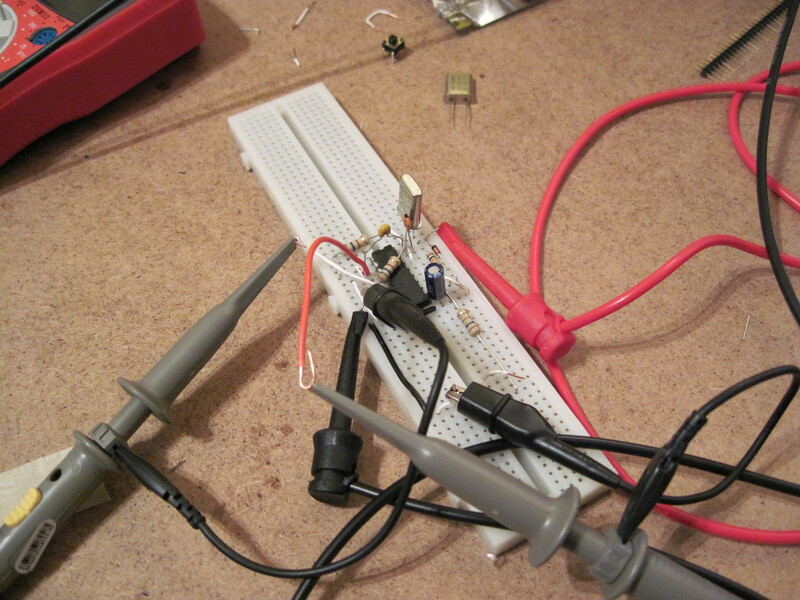 As noted on a couple other blog posts here, the LogicPort logic analyzer is a handy piece of equipment. Hi Paul! I started a similar project several years back and got as far as wiring up the memory before getting sidetracked on other projects. I am also in the Seattle area and I find a lot of parts in the “AS-IS” area and the card bins at RE-PC in Tukwila. There is also a RE-PC in south Seattle, but I have only been there once and all I can remember is the cool computer museum they had. Hopefully I will get my bench cleared off and get back to my project in the coming year. I’ve checked out RE-PC in Seattle and more recently Tukwila. I had slightly better luck at the one in Seattle though I found a box of a hundred or so 64-pin IDC sockets (through hole for mounting on boards) for $5 at Tukwila. They had a better selection of random old boards (for scavenging parts) at Seattle when I was there.